Wayne, Pa. (January 18, 2018) — Colorite, a Tekni-Plex business unit specializing in custom medical-grade compounds, will be discussing medical device commercialization trends for its Cellene® line of thermoplastic elastomer (TPE) compounds at MD&M West, February 6-8, Anaheim Convention Center, Anaheim, Calif., booth 1739. Although PVC compounds still garner the majority of market share, TPE alternatives are ideal for those desiring non-phthalate containing materials. Cellene TPEs are suitable for a wide variety of uses in medical devices, packaging and other regulated markets. 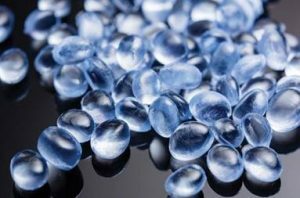 Cellene compounds are formulated to be silicone, latex, phthalate, halogen and PVC-free using FDA-compliant raw materials to meet USP Class VI and ISO 10993 standards. For additional information on selecting compounds for medical devices, please visit the website. Colorite is a custom compounder specializing in medical-grade formulations. The company is known as a global leader in clear polyvinyl chloride (PVC) compounds for medical devices. Engineered for extrusion, injection molding, blow molding and film applications, the compounds are formulated to provide exceptional clarity, superior heat stability and excellent processability for a wide variety of medical device applications. For more information visit Colorite. Tekni-Plex is a globally-integrated company focused on developing and manufacturing innovative packaging materials, medical compounds and precision-crafted medical tubing solutions for some of the most well-known names in the medical, pharmaceutical, personal care, household and industrial, and food and beverage industries. Tekni-Plex is headquartered in Wayne, Pennsylvania and operates manufacturing sites across eight countries worldwide to meet the needs of its global customers. For more information visit www.tekni-plex.com.